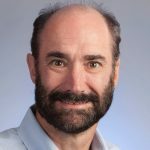 Michael Snyder, PhD, of Stanford University is the recipient of the 2019 Genetics Society of America (GSA) George W. Beadle Award for developing and disseminating widely-used technology for the simultaneous analysis of thousands of genes, RNA molecules, and proteins. Beginning with studies of baker’s yeast and later expanding to humans, Snyder’s sharing of tools and resources set a high standard of service to the community and helped lay the foundation of systems biology. He also pioneered the application of omics technologies and big data to personalized medicine. The Beadle Award recognizes significant, sustained service to the genetics community that goes beyond an exemplary individual research career. Snyder’s interest in the application of chemistry to biological systems emerged during his undergraduate training at the University of Rochester and continued at the California Institute of Technology under his PhD advisor Norman Davidson. Following a postdoctoral fellowship with Ronald Davis at Stanford University, Snyder moved to Yale University in 1986 and was the Chair of its Department of Molecular, Cellular, and Developmental Biology from 1998 to 2004. In 2009, he was appointed Chair of the Department of Genetics at Stanford University and became the Stanford B. Ascherman Professor of Genetics in 2011. Early in his career, Snyder used yeast as a model organism to launch a new system-level approach to analyzing the functions of the thousands of genes that make up the yeast genome. He achieved this by expanding a method known as transposon tagging. Transposons are repetitive DNA sequences that can jump from one genomic location to another. Other researchers had used this unique ability to identify and map unknown genes, typically one at a time, by testing which DNA sequences were disrupted by the transposon’s jump. Snyder’s group deployed this tool on a system-wide scale by creating libraries of transposon-tagged yeast genes. To multiply the impact of these libraries, Snyder made them freely available to the genetics community before publication, along with the reagent lists and analysis tools needed for their use. These resources allowed other researchers to track, for example, which gene was expressed at which point during the yeast life cycle and wherein the cell the protein coded by that gene was active. The 1994 publication of Snyder’s first large-scale functional analysis of the yeast genome spawned the fields of systems biology and functional genomics. With Patrick Brown, Snyder developed the ChIP-chip technology for identifying all DNA sites to which transcription factors can bind. These sites help initiate a gene’s transcription and regulate gene expression. ChIP-chip later evolved into the widely-used ChIP-seq technology. In 2000, when researchers were completing the first sequence of the human genome, Snyder turned his attention to human cells and their large and continuously changing set of RNA molecules. They include not only messenger RNA, the familiar coding molecule for proteins, but also RNA types that researchers knew much less about. In 2004, Snyder’s group was the first to discover widespread non-coding RNAs in human cells, using the tiling array approach they had developed. These functional RNAs are transcribed from DNA but not translated into proteins. Paired-end sequencing, another technology devised by Snyder’s group, revealed widespread structural variation in the human genome. His team also showed that the bulk of these DNA rearrangements of varying length were not due to homologous recombination, as many researchers had expected. Snyder’s RNA analyses and methods were an integral part of the ENCODE (ENCyclopedia of DNA Elements) project, a massive multi-center consortium charged with defining all functional elements in the human genome. Snyder’s group contributed more data sets to the ENCODE project than any other laboratory. His team co-invented RNA-seq technology for mapping coding and non-coding RNAs to DNA sequences. It is now a ubiquitous tool in genome and transcriptome analysis. Snyder’s laboratory also built the first proteome array for the large-scale characterization of protein function. Snyder’s move to Stanford in 2009 set the stage for studying human health at an entirely new level by combining insights from genomics, transcriptomics, proteomics, and metabolomics. The latter is the large-scale study of small molecules (metabolites) that result from chemical reactions in tissues and fluids. Using himself as the initial test subject, Snyder pushed the boundaries of the field by applying big-data science to personalized medicine. In 2012, his group published a longitudinal proof-of-principle study in which integrative omics analyses were performed on Snyder’s samples to track his health status over time. After the researchers discovered his high risk for type 2 diabetes through genome sequencing, they began to monitor his blood glucose levels and observed a spike in glucose levels after a viral infection. This resulted in a diabetes diagnosis about one year into the study. With lifestyle changes, Snyder was able to reduce his glucose levels back to normal for several years. The 2012 study showed that integrative personal omics profiles (iPOPs) can predict diseases before the onset of clinical symptoms. The term “precision health” describes the early detection of subtle health changes in order to prevent diseases or to initiate treatment before they advance. Snyder’s group recently illustrated the power of precision health in a much larger cohort of subjects in whom the omics profiles identified many clinically actionable health outcomes, such as early lymphoma, pre-cancerous lesions, and early stages of heart disease. Snyder has continued to make data and resources from these pioneering studies freely available. Snyder’s team has also incorporated wearable devices into the omics profiles. These devices measure personal health information, such as heart rate, skin temperature, and sleep duration, as well as airborne biological and chemical exposures (“exposome”). Snyder believes that physicians and patients will make health decisions in the future not based on population averages, but on each person’s unique and longitudinal data from omics profiles and wearable devices. At Yale and Stanford University, Snyder has opened the doors of his lab to many high school and undergraduate students. He has mentored more than 70 graduate students and about 180 postdoctoral trainees. He is an elected fellow of the American Association for the Advancement of Science and the American Academy of Arts and Sciences. Snyder joined the GSA as a graduate student and served on its Board of Directors from 2006 to 2009. He has attended almost all of its Yeast Genetics Meetings since 1983 and organized two of them. The George W. Beadle Award will be presented at The Allied Genetics Conference, which will be held April 22–26, 2020, in the Metro Washington, DC region. The award was named in honor of George W. Beadle (1903-1989), who shared the 1958 Nobel Prize in Physiology or Medicine with Edward Tatum for discovering that genes act by regulating specific chemical reactions. Beadle served as GSA president (1946) and made numerous contributions to the genetics community during his long and distinguished career.